"If You Don't Control Your Thoughts and Your Emotions - Who Does?" If you don't control your own life, life will control you -- and you don't want that. You don't have to accept thoughts of WORRY, FEAR and SICKNESS that rob you of the joy of living. Stop being a slave to your thoughts and your emotions! Rev. 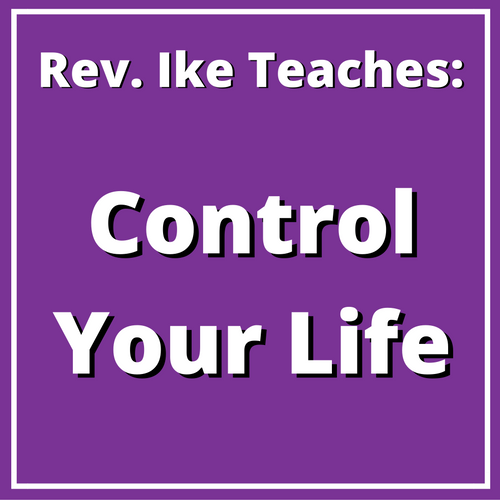 Ike's "Control Your Life Series" Now on MP3! Many people do not control or direct their emotions. They let their feelings just feel any old kind of way and they suffer because of it. And perhaps it has never occurred to you that you have the power to control and direct your feelings. You Must Program Your Own Mind! Now, please listen to this. Your thoughts should be operated by you and given strict orders by you. If you do not tell your mind what to think, the world will keep your mind confused. If you do not have your mind operating under your strict orders of good and of love, the world will fill your mind with all kinds of ideas. So, we all have to learn how to program our own minds. Now many times people ask me, “Rev. Ike, why are these things happening to me? Why?” Ask yourself this, "What thoughts have I put into my mental computer? What thoughts have I allowed into my subconscious mind?" 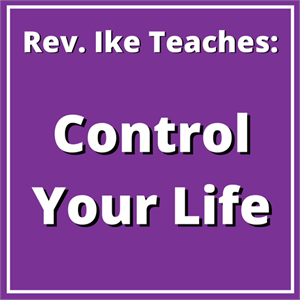 In my "Control Your Life" audio series on MP3, I teach you how to program your mind with the right thoughts. You learn how to "Tell your mind what to think". One of the differences about my teaching is that I teach you how to help yourself. I teach you how to save yourself. I teach you how to heal yourself. I teach you how to find the answers for yourself by changing your beliefs about yourself -- by changing your own self image! Your physical body, your entire experience, is governed BY YOUR OWN BELIEF about yourself. When you understand that, when you learn to control your beliefs about yourself, you are done with thinking that somebody else can do something to you or someone else can influence your life, or someone else can obstruct you. A Healing and a Blessing Experience! 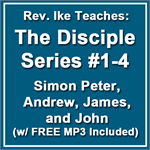 I want you to have my "Control Your Life" Teaching Series now available on 3 MP3 Files. The words that I speak to you on these audio lessons will be a healing and blessing to you, a prosperity experience to you. In this audio workshop, I teach you how to control your THOUGHTS, your EMOTIONS and your BODY! I lead you through guided affirmations and visualizations that reach deep into your subconscious mind and begin to change you right then and there. You will have a power over situations and circumstances in your life like you've never had before! how to talk to your mind and tell your mind what to think! how to control your feelings! how to turn the bad feelings OFF and the good feelings ON! how to get your FEELINGS to sit up and take notice! how to program yourself for HEALTH and HAPPINESS! you'll take part in a consciousness-raising treatment that will literally RE-SHAPE YOUR BODY into the measurements and weight that you desire! You Will no Longer Be at the Mercy of Your Thoughts and Feelings! Listen to me and you shall know the truth and the truth shall set you free. The same truth that set me free, I teach it to you so that it will set you free. As you listen and repeat with me, you'll feel me right there with you, teaching you, coaching you, guiding you, encouraging you -- in the comfort and convenience of your own home, your car or wherever you choose to listen. And you'll want to listen to these MP3s over and over again, because each time you will hear something new that you can use right away to master situations in your life and to create the relationships and the success in life that you want! The cost of these three MP3s is only $21.95! Make up your mind right now to take command of your thoughts, feelings and body. Order now and begin to control your life! I recently found out about Rev. 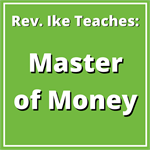 Ike and started purchasing his series of sermons. This one is life changing. Many times we go through life looking for "fate" and "signs" etc this series made me realize that I AM in control of my life and I have the power to create the life that desire.